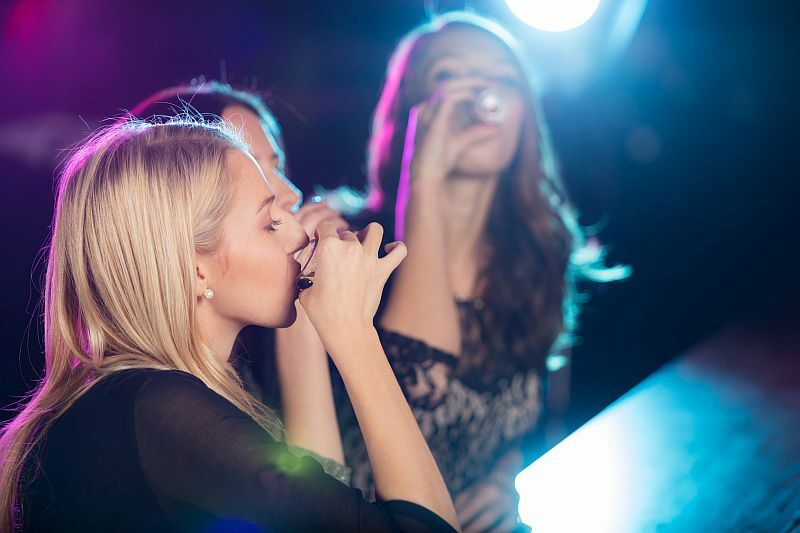 The study of college women included some who reported regularly binge drinking during high school and in the first year of college. That means downing four or more alcoholic drinks in a two-hour period. "We found that for those who were the heaviest binge drinkers, bone health wasn't as good as it was for those who had not been heavy binge drinkers in high school. And we saw that even after we accounted for other factors that could affect bone health," said the study's lead author, Joseph LaBrie. He's a professor of psychology at Loyola Marymount University in Los Angeles. "If you don't reach peak bone mass, you may not recognize it. But especially in women, a lack of bone density can be really important later when you might develop brittle bones, osteoporosis and have fractures," he said. Women's bone mass reaches its peak density when a woman is between 20 and 25 years old. After this, bone mass gradually declines throughout the lifespan. So anything that interrupts the production of bone before this peak may contribute to a lower bone density throughout life, according to the researchers. This could be critical in older age when fractures from the bone-thinning disease osteoporosis disable many adults. The study included 87 women between 18 and 20 years old. Sixty percent were white. Eighteen fell into the heaviest regular binge-drinking category. The study defined heavy binge drinking as more than 115 episodes since the start of high school, or almost twice a month on average. All had bone scans to measure their bone density. The researchers controlled the data to account for other factors that could affect bone development, such as weight, physical activity and contraceptive use. The investigators found that women who were regular binge drinkers had lower bone density in their spines. However, the study could not prove cause and effect. Dr. Caroline Messer is an endocrinologist specializing in bone loss at Lenox Hill Hospital in New York City. "Over the years, studies have shown that high intake of alcohol is associated with an increased risk of osteoporotic fractures. Excessive drinking during adolescence is particularly deleterious because the teenage years are crucial for the development of peak bone density," said Messer. Alcohol intake of more than 2 to 3 ounces daily can result in decreased bone density for a variety of reasons, she explained, including interference with the absorption of calcium and vitamin D.
Alcohol also lowers estrogen levels. "Estrogen is important for the proper growth and development of bones, particularly in the spine. This may explain the finding of lower mass in the spine in college-aged women who were binge drinking regularly," Messer said. She was not involved in the study. Heavy levels of alcohol consumption also cause several changes that encourage the breakdown of bone, she added. The researchers didn't look at the effects of binge drinking and bone density in men, but LaBrie said he suspects the findings would be similar in males. There are some differences in hormones and the timing of puberty in men and women, LaBrie noted, but "a similar dynamic is probably going on with men." The study was published in the May issue of the Journal of Studies on Alcohol and Drugs.